Meet Mindy! Yes, it is fun to coach another Mindy! She has been an online coaching client with me since August. She lives way across the country on the west coast and we do this process thru daily texts, weekly emails, and monthly phone calls. Prior to working with me, she was eating a high-fat intake attempting to eat more of a Keto lifestyle. She reported increasing belly fat and when I heard that, I knew super high fats absent of beneficial plant fibers and phytonutrients was likely not a fit for her. So we have worked to reshape her food patterns and she now eats many plant varieties as her main carbohydrates….AKA REAL foods! Going from 166 with a 36” waist to now 148 and a 30” waist, another initial issue at her coaching start was she was eating sub 1400 calories, at 8x her body weight in food intake. She had not only the stress of imbalanced food type (fats too high), but also the low-grade stress of minimal food intake, where she was in extreme “diet” mode and barely meeting her body’s basic needs. Our strategy with her was to optimize her metabolism and raise her food intake over time. She has done minimal cardio beyond walking and increased daily movement (N.E.A.T. 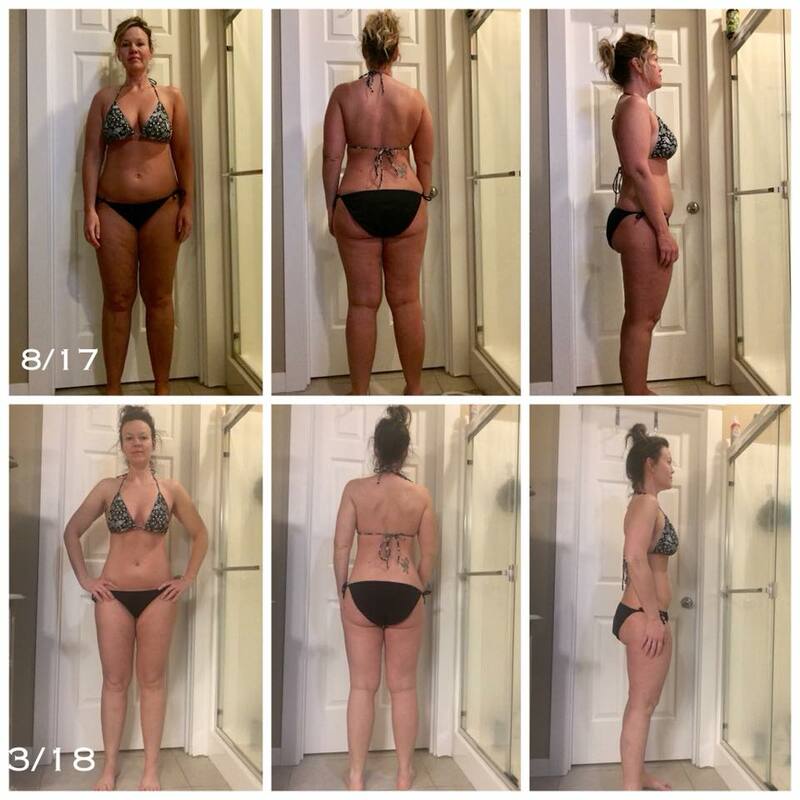 ), and is now eating 1700-1800 calories a day, at 11-12x her body weight in food intake and so on this reverse diet, her body responded accordingly. Some gals like Mindy respond in fat loss in a reverse diet when we add in food, some hold steady at their weight, and some even gain some weight. Each body and circumstance is unique, all relative to what went on with their life systems in the years before. This is now a much better place to do life, providing her more energy, mental clarity, and a focus on overall wellness, where she can institute doable systems for years to come. She weight trains 4x a week and is very consistent with her attention to sleep, hydration, food awareness, and diligent daily and weekly communication to me. So in time her body is responding accordingly. Consistency, NOT speed, for the win! I share this to promote SLOW change is lasting change. 7 months to this point, not weeks, this is how we reset a lifestyle to place her on a new path long term, not on a temporary sprint to a fleeting finish line.